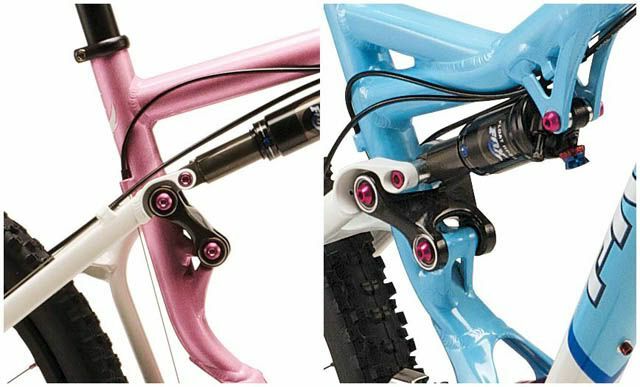 · Rear shock: FOX RP23 custom valved to work with the DW Link and Pivot's specific linkage rates. 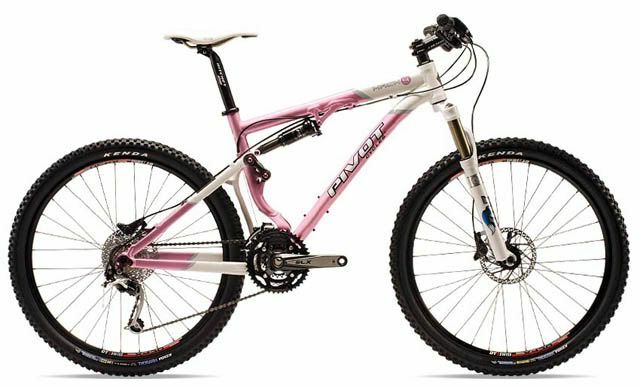 Ride: The frame is designed to be an incredible pedaler with an efficiency level that will impress even the most discerning pro level XC riders. However, unlike most pro level XC bikes, the Mach 4 has a full 100mm of active travel to soak up pretty much anything you can throw at it. The DW Link system keeps the bike from bobbing during hard pedaling efforts out of the saddle and gives the bike additional traction while climbing (seated or standing) as well as really helping propel the bike forward during sprinting and hard efforts out of corners. The beauty of dual link designs, and the DW Link in particular, is the ability to optimize the wheel travel path at different points in the travel. Single pivots designs, and even 4-bars are tunable to a set arc and therefore are really optimized for a section of the wheel travel and/or for a specific gear/chain ring combination. The DW link truly allows us the tunability to give the rider the best pedaling performance possible without sacrificing braking or suspension feel. 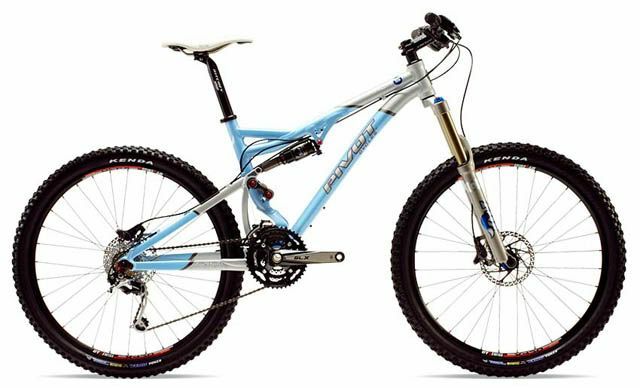 Frame stiffness: We believe that the frame stiffness is one of the most important aspects to having a suspension frame perform at the highest level, so every detail on the Mach 4 was designed with frame stiffness in mind. The BB shell is 92mm wide allowing for a wider down tube at the bottom bracket which really contributes the frame's overall rigidity. The lower DW-Link features oversize pivot axles and 8 cartridge bearings for unmatched reliability and smoothness as well as contributing heavily to the zero flex nature of our design. Finally, the compact, one piece rear triangle pivoting off of short dual links are two of the final touches that help the Mach 4 set a new bar for frame stiffness. Technology and cutting edge innovation: Internal BB: The Mach 4 is the first frame of its kind to feature a 92mm wide bottom bracket shell with internal Shimano XTR bearings. There are no spacers or threads in the shell. The bearings are housed in composite resin cups with a full sealed sleeve to keep out the elements. This design allows for easy crank installation, and no frame facing or special spacers required. The design insures that the chain line is perfectly optimized and as an added plus, the bearings are extremely easy to replace and install and have a 3 year warranty from Shimano. Direct mount front derailleur: Designed to work in conjunction with the bottom bracket system, the front derailleur mounts directly to the Mach 4's hollow bottom bracket forging. This locates the front derailleur perfectly to the crank and chain rings and provides for the most solid and accurate front shifting possible. Tubing and forging technology: All tubes on the Mach 4 are proprietary 6000 series. 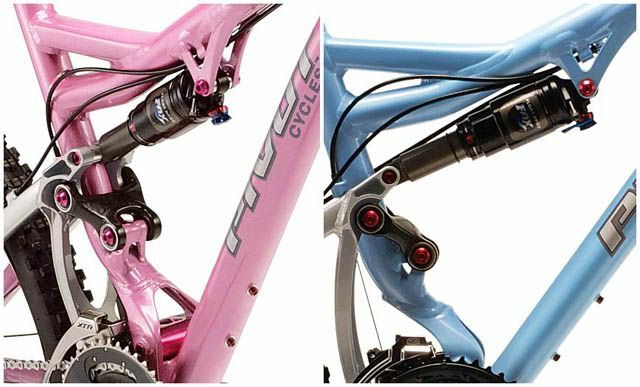 The down tube, top tube, and chainstay are all triple butted and hydro-formed. In addition, every other part on the frame (other then the head tube) is cold forged. Forging is significantly more expensive but yields a much strong, lighter frame. Zero Stack headset (not integrated): The 50mm zero stack design allows us to reduce the front end height by over 1 inch which is great on an XC racing frame. It reduces overall stand over and really helps get the rider in a better position (especially on the smallest frame sizes). Aggressive riders can use standard riser bars without having to flip stems upside down. In addition, the head tube is a larger diameter which in turn gives us more weld area for a larger top and down tube making the frame both stronger and stiffer in the front triangle. Many people look at the headset and think that it is an integrated design. It is not. The zero stack design is a standard 1 1/8th headset with the top of the cups flush with the head tube. Every headset part is replaceable and with Cane Creek, FSA, and Ritchey, they use the same bearing in this headset that is in their equivalent standard external 1 1/8th models. The ride: The "5 inch travel segment covers some pretty broad territory. You have bikes from 4.75 to almost 6 falling within the realm and ride goals that are even more varied. This is the category where bike companies are trying to design the "one bike that can do it all. Unfortunately, you can't do it all. To us, a 5 travel bike that is super plush kills off the entire epic, long ride, go anywhere focus of what a 5 travel bike should be. If you lean towards the ski resort/north shore/ more extreme type of riding, then get a 6 travel bike and build it up light. The Mach 5 has 140mm (5.5) of travel and is meant to cover the spectrum of 24 hour racing, all day in the saddle rides, with the ability to devour technical descents. This bike doesn't bob under power and it isn't real squishy feeling (we like highly technical terms like squishy). What you can't tell in a parking lot is that the Mach 5 absolutely comes alive at speed (even in rock gardens which we have tons of in AZ). We have tested this bike from South Mountain's National Trail to Moab's Porcupine Rim. There are certainly longer travel bikes that are plusher, but it's all about controlled travel. The Mach 5 holds its line at speed and always seems to have extra travel in reserve for big hits, big drops, and even the occasional big jump. The head angle with the fork at 140mm travel is 69 degrees. This is a nice stable number for handling very technical terrain. Additionally, with the DW Link and the shock we are using (2.25 stroke on a medium frame), it is imperative to run 30% sag (.675). Most people are used to running less because other bikes need to have more air to keep from bobbing. NOT THIS ONE! The Mach 5 is all about achieving a balance in what we believe to be the perfect combination of incredible pedaling efficiency and frame stiffness with a controlled feel throughout the stroke and enough travel to keep our customers grinning from ear to ear in even some of the most technical terrain. Welds: The Mach 5 uses a combination of traditional welds and smooth welds. The smooth welds on some bikes are polished out after being completed (a la Cannondale). We like the flat bead look of the smooth weld as it is laid down. We use it near on the top tube shock tab area to keep things smooth and snag free and on other areas because it actually reduces stress risers and makes for a nice strong joint. Headset: The Mach 5 uses a zero stack standard headset. This headset takes cups just like a normal external 1.125 headset. However, the head tube is significantly larger in diameter and the entire headset cup fits inside. We did this for a couple of good reasons. First, as forks get longer and tires grow bigger, the front end heights continue to skyrocket. This is not such a problem for a 6 foot tall person, but for just about everyone else (particularly the under 5' 8 crowd), this headset design reduces the front end height by over 1 because the cups are inside. It works great on the Mach 4 and Mach 5 and will prove to be a huge benefit on a future 29er as well. The second reason is that a big diameter head tube is that it is simply stronger and allows more surface area to weld to. It's a nice secondary benefit that really makes the front end of the bike look nice as well. The zero stack design is available in headsets from Cane Creek, Ritchey, FSA, and others. They make it in their top models with the same bearings that are in the external headsets. The cups press in and/or remove just like a traditional headset. We have even spoken to Chris King about this standard and unlike his stance against integrated headsets, he finds this route much more appealing. We have to agree. oh diba! bagay sa atin yan koylerblulalu! badeng na badeng ang arrive natin nyan sis! Nice! I like the pink one. deep-inside he's thinking: "HEHEHEHEHEH.... NOW! i can sales talk these people in buying my non-moving stock of perdido headset as upgrades... $$$$$"
everybody knows that you're a stockholder of syncros and that gave color and invalidity to your comments against CK. Tolits wrote: everybody knows that you're a stockholder of syncros and that gave color and invalidity to your comments against CK. goyo whats the SRP on the pink one? that everybody should follow his design... because his design is better than anyone else! ayaw nya kasi magbayad ng royalties/patent sa CC! ang galing ng research ni jaymz. pero mahaba kaya di ko gaanong nagets. panakaw kasi ang pagbasa ko rito sa kampo e.
basta ako integrated headset ang bike ko. RomanS wrote: ang galing ng research ni jaymz. korek...integrated headset!!! teka anu ba ung pinaguusapan dito? Funny how a thread about bikes for women has branched out into different topics. 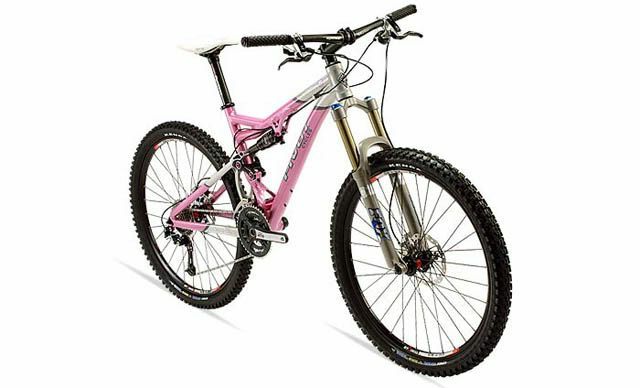 goyoyl wrote: Funny how a thread about bikes for women has branched out into different topics. about women ba ito WHAT???!!!! I'll have the prices next week. Gusto ko dito, women ang topic! Humor : Si Kolot at si Yokom! ang taas ng bottom bracket height....... or optical illusion lang?